Once during your turn (before you attack) Flip a coin, if heads your opponent discards the top card of there deck. Attack 2 : Star Man! 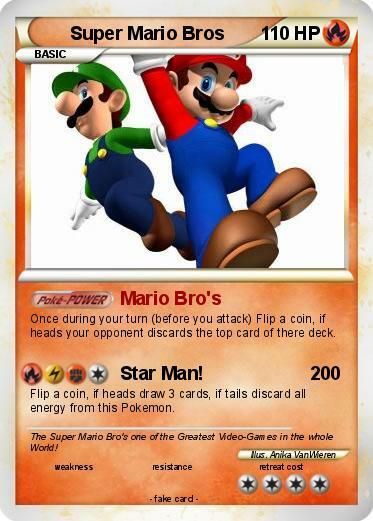 Flip a coin, if heads draw 3 cards, if tails discard all energy from this Pokemon. Comments : The Super Mario Bro's one of the Greatest Video-Games in the whole World!